“Is there a lien on my property?” If this is something you’re wondering about, then you’ll definitely want to find out, pronto. You might think you already know about any liens on a property you already own, but the fact is they can lurk beneath your radar and pop up at the most inopportune times. Topping the list: when you’re getting ready to sell your place, and a search of public records uncovers the lien. This can be very bad news, resulting in delays in selling your home or, worse, throwing a wrench into the whole deal. The good news is that finding out if there are liens on your property is simple—and by finding out early, you can take steps so that it will not hinder selling your home, whenever that takes place. Here’s how to find out if there’s a lien on your property, and what to do if you do find one. 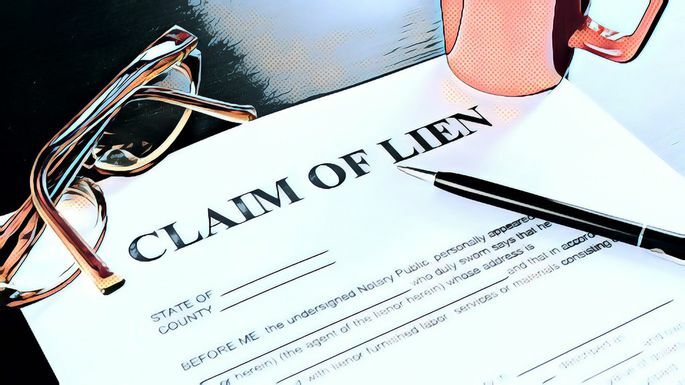 What is a lien, anyway? In the most basic terms, a lien is a legal notice that’s attached to your property title because of an unpaid debt. It gives the unpaid party a legal claim to a portion of your property when it’s sold, and you typically can’t sell or refinance your property if the lien isn’t cleared. Mechanical/contractor liens: Mechanical liens result when homeowners hire contractors to perform home improvement projects, but fail to pay them for their services and materials. Tax liens: Tax liens are filed due to unpaid taxes, including local property tax liens and those filed by the IRS for missed federal tax payments. Judgment liens: Judgment liens result from court cases in which it was ruled that you owe money to the other party. They can include settlements related to child support, unpaid credit card debt, and medical bills. Sacha Ferrandi, co-founder of Source Capital Funding, says homeowners won’t always know if a lien is a filed against their property. Also, sometimes mistakes are made, and there may be a lien wrongly filed against your property or a lien that remains on record for a debt you’ve already paid. Fortunately, in those cases, you can take some simple steps to clear them up with your county clerk. Liens are a matter of public record, so it’s simple to find out if there’s one on your property, or on anyone else’s property for that matter. In most states, you can typically search by address with the county recorder, clerk, or assessor’s office online. The search for liens is free, though you may have to pay a small fee for a copy of the report, which will vary by county. You can also hire a title company to do the legwork for you, but there will be a charge, and for the most part it’s going to do the exact same thing you’d do anyway. If you have your eye on a property, it’s a good idea to conduct your own search as well so you don’t run into any surprises at the last minute. If you do find a lien on your property (or one you want to purchase), don’t panic. If the lien is paid off already, you may just have to contact the appropriate party with proof in the form of a lien release. But if it hasn’t been paid, you’ll need to sort this out before your home sale goes through.